Start Your Lexus 800 meters Away! With our newly developed Long Range Remote Engine Starter for all 2010-2015 RX models. 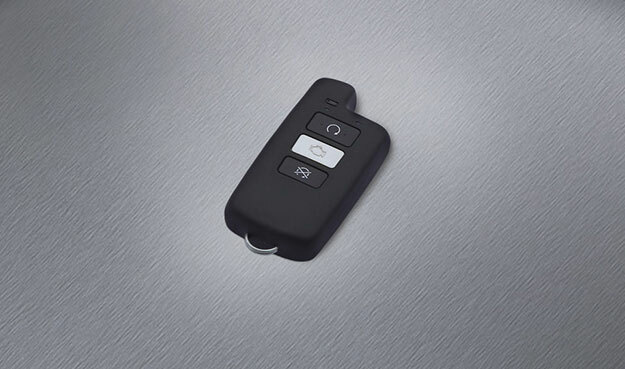 Lexus Start+ is a Lexus Genuine long range remote engine starter that enables you to start your Lexus from as far as 800 metres away – and that’s just the beginning. The “+” includes a wealth of other conveniences. For example, remote control of heating and air conditioning ensures the interior is ready and waiting at your preferred temperature, as well as clears the front and rear windows of frost before you’ve even left the house. It will also give you advanced warning when your battery might be running low. Lexus Start+ is the only remote engine starter that fully integrates with Lexus vehicle electronic systems and immobilizers. Lexus Start+ is warranted for the balance of the new vehicle limited warranty when bought and installed at your Lexus dealership. Available on 2016 NX200t, NX300h, 2016 IS models, 2015 and 2016 ES350 and ES300h models. Contact us for pricing by model.